BEIJING • What the Chinese call the Friendship Pipeline runs for 32km, crossing under the Yalu River and spanning the border between North Korea and China. For more than half a century, it has been both a symbol of the two nations' alliance and a lifeline for the North's economy. Now, in response to Pyongyang's latest and most powerful nuclear test, US President Donald Trump's administration is expected to press China to impose an oil embargo on North Korea, cutting off the flow of petroleum via the pipeline and tankers. The United States has called for similar measures before, and Beijing has almost always refused. But no previous US administration has pressed the case as an implicit choice between cutting off the fuel and potential military action. That puts Chinese President Xi Jinping in a difficult position. With a Communist Party leadership conference next month, he will not want to look weak. But a war on the Korean peninsula would be even less welcome. "Xi cannot afford to look like he is caving in under US pressure," said international relations professor Zhang Baohui of Lingnan University in Hong Kong. He said that if Mr Trump agreed to a version of a strategy proposed by China - a freeze of North Korea's nuclear programme in exchange for suspending joint US-South Korean military exercises - Mr Xi might be more amenable to an oil cut-off. But while US Secretary of State Rex Tillerson and Defence Secretary James Mattis have raised the possibility of a diplomatic resolution, Mr Trump has expressed little interest in talking to Pyongyang. On Tuesday, North Korean diplomat Han Tae Song hinted of more nuclear or missile tests, saying "pressures or sanctions will never work". China fears that putting too much pressure on North Korea could bring down the government of its leader Kim Jong Un, perhaps resulting in large numbers of refugees crossing into China and leaving an American ally, South Korea, on its border. While Beijing often criticises North Korea for its missile and nuclear tests, it keeps its economy alive with exports of energy, mainly crude oil. China cut off oil supplies to North Korea for three days in 2003 after it fired a missile into waters near Japan. But that was a rare exception. While Mr Xi has been willing to impose some minor restrictions on energy supplies to North Korea, he has shown no signs of curbing the vital crude oil that keeps the North afloat. 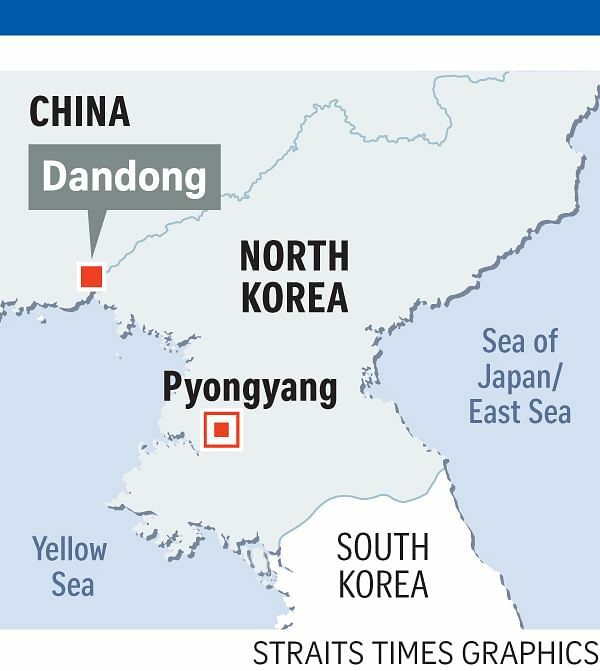 How much crude China sends through the Friendship Pipeline - which starts in Dandong, a trading hub in north-eastern China, and travels under the Yalu River into North Korea - is not precisely known. But given its recent economic growth, North Korea would be expected to import about 850,000 tonnes of crude oil this year, almost entirely from China, said Mr Peter Hayes, director of the Nautilus Institute, a think-tank specialising in North Korean energy. Some others estimate about 750,000 tonnes for the year. Even if China did cut off crude oil supplies, North Korea would be able to operate for a while, Mr Hayes said. The military, which he said uses about a third of the country's imported oil, has enough stockpiles for about "a year of routine, non- wartime usage". The military could fight for a month before running out of fuel, Mr Hayes said. He added that the brunt of a fuel cut-off would be felt by ordinary North Koreans. For China, there are also practical concerns. China National Petroleum Corporation has said stopping the flow of oil might damage the Friendship Pipeline. Mr Hayes said China was unlikely to agree to an oil cut-off, however strained its ties with the North. "That would reduce whatever influence the Chinese have left in Pyongyang."